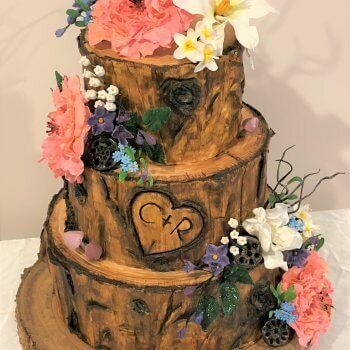 As wedding cakes have evolved throughout the years, from the early days of your more traditional plain white, fruit cake flavoured wedding cakes to more modern times you are now only limited by your imagination. 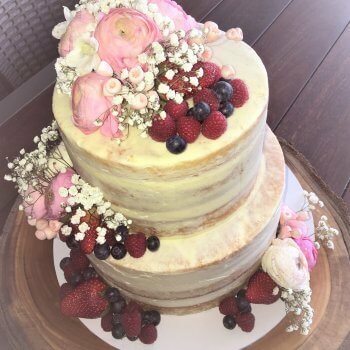 But one tradition that is still used to this day is the use of flowers to decorate your wedding cake, but now you have a choice do you use fresh flowers or sugar flowers. 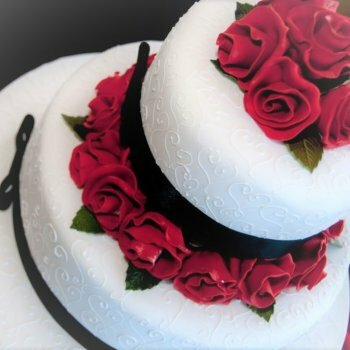 Both have their advantages and disadvantages, and this is one of the questions that should be asked of your wedding cake designer whilst at your consultation. These are a great way to decorate your wedding cake. Sugar flowers give you the added advantage of being able to be made to order in any shape, size, design or colour you wish, they also give you the added benefit of being able to be kept as a keep sake of your wedding and will last for years if properly looked after. As the name suggest these are handmade by Rimma’s Wedding Cakes, and made from Fondant. 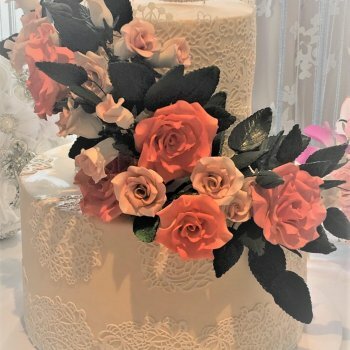 While it is true that sugar flowers are a more expensive solution as each flower and leaf are individually handmade, they do allow you plenty more options as to the styling you may desire. As stated before you are only limited by your imagination and sugar flowers can be brush or air-brush painted in any colour to match your colour scheme of your wedding. These are also very popular option and can be a more cost effective solution for decorating your wedding cake. 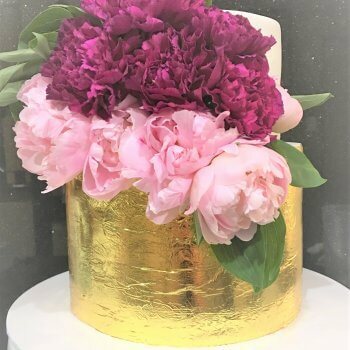 They can have a slight advantage over sugar flowers as they are able to be ordered from your florist at the same time as you are arranging your other flower options and will ensure that everything is matched perfectly. Fresh flowers however do have there limitations that you will need to consider, such as, is your wedding reception in or outdoors, summer or winter, will there be air conditioning, are your chosen flowers going to be in season, this could limit the type of flowers that are available to you. Fresh flowers are also normally only intended to be used the once for your wedding and not as a keep sake. 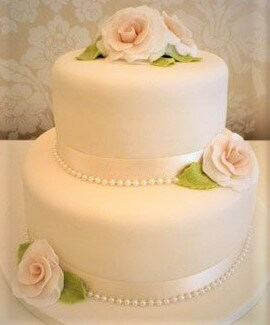 No matter if fresh or sugar flowers are used, both will provide you with a stunning finish to your wedding cake. It is advisable whilst at your consultation to discuss this with your wedding cake designer and seek the right advice. If you would like any more information, or have a suggestion for future topics please do not hesitate to contact us by clicking here.